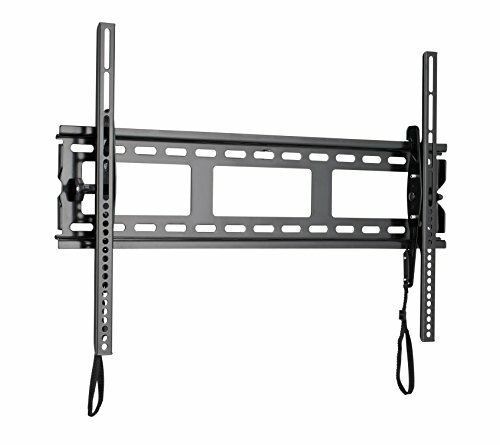 The SANUS Classic MLT14 is a tilting wall mount for most 37 inch to 80 inch flat-panel TVs up to 130 lbs. Virtual Axis technology allows 10 degrees of tilt motion with the touch of a finger to help reduce glare. Lateral shift ability makes it easy to center the TV on the wall, even with off-center studs. Locking mechanism holds the TV securely in place on the wall plate; add a padlock (sold separately) for additional security. Comes pre-assembled for a quick and easy installation. UL-Listed for quality and safety assurance.